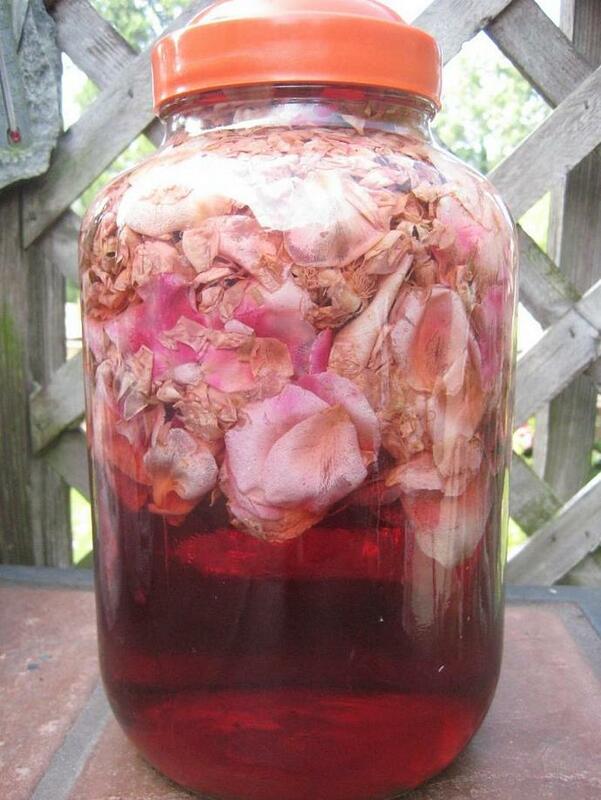 From scratch rosewater, beginning with fresh rose petals and the loving warmth of the sunshine. Add a bit of elegance to your facial care routine. 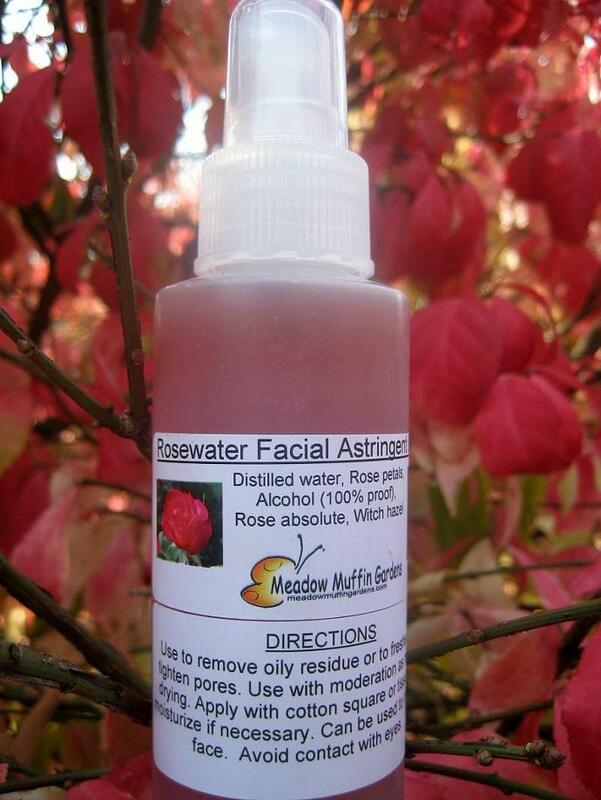 Rosewater toner will remind you of days past when roses were valued for more than just their beauty. 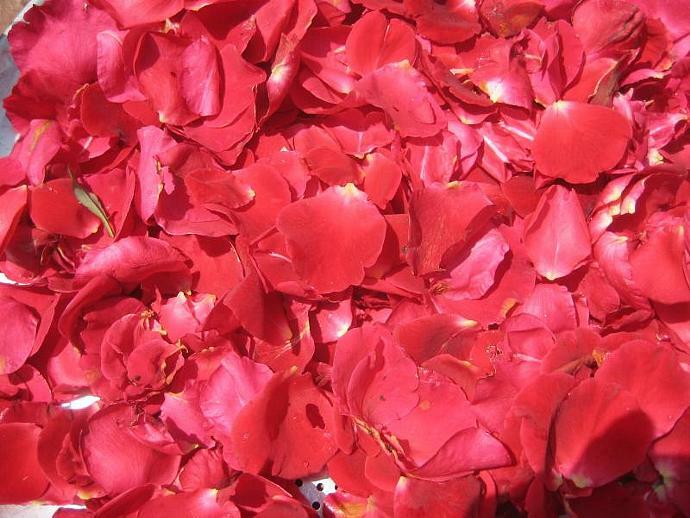 Roses contain a substantial amount of vitamin C which results in an acidic rosewater wonderful to use as an astringent. Also helps reduce thread veins by the rose's tonic effects on the capillaries. Combined with the soothing effects of witch hazel, healing aloe vera and a touch of hydrating glycerin, you have a very refreshing means to diminish that "shine" in the T-zone, tighten up pores after cleansing, or use as a mist to cool off. Close your eyes if you mist your face. To use as an astringent, apply with a cotton round or square. Follow with a moisturizer if necessary. Oily skin may not need a follow up moisturizer. 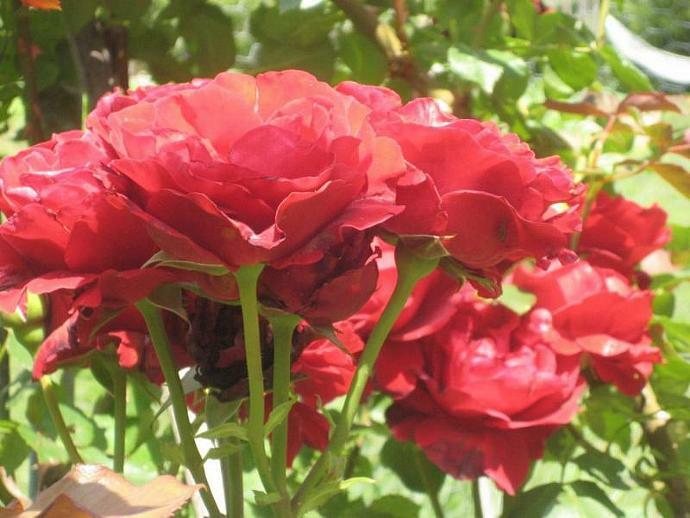 The type of rose used for this rosewater is the Dolly Parton Hybrid Tea Rose. A beautiful 5 foot tall, long caned rose bush with large, deep red fragrant blooms. I believe my luck with this rose is where I placed the bush. It is inside my large enclosed herb garden which also serves as my chicken pen. The chickens help keep insect pests at bay, aerate the surrounding soil with their scratching as well as the contribution of droppings. 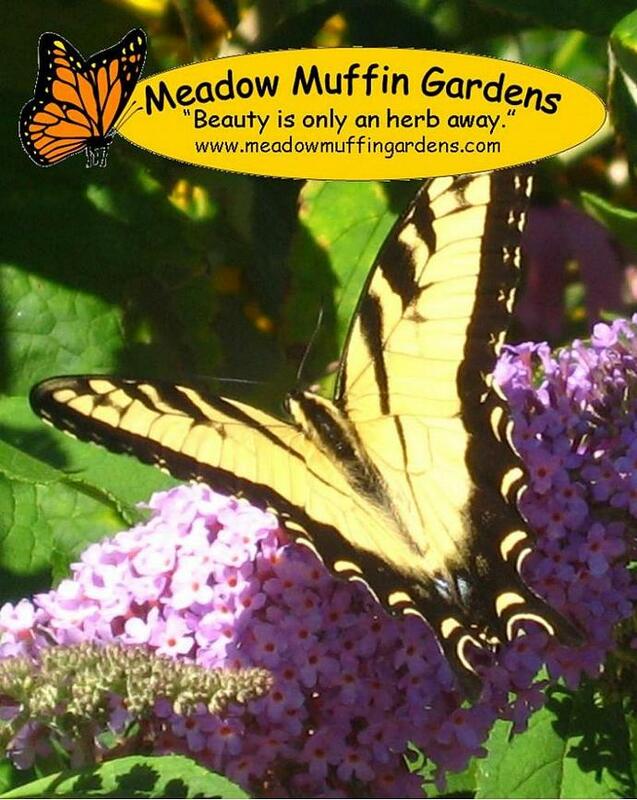 Surrounded by herbs such as mint and catnip that attract beneficial insects also helps deter disease. Absolutely no pesticide is used on these roses. The base rosewater is made from roses, distilled water, alcohol for preservation and a touch of rosewater concentrate and geranium essential oil for additional fragrance. Without any method of preservation, this would be like any other herbal infusion and spoil within days. The alcohol is added during the solar infusion process and is not at a high enough ratio to dry out the skin.